The extreme of all extremes. Free falling at 120 mph towards the Swiss Alps will definitely give you the rush you’re looking for. Not as extreme as jumping out of an airplane, hangliding and paragliding still give you the amazing views of the Swiss Alps, at a fraction of the price. Experience the rivers of Interlaken in a high speed adventure from start to finish. Be ready to face the crisp waters of Switzerland. For a calmer outdoor activity, this is for you. Guided tours are the perfect way to explore the lakes and enjoy the view. Get tethered into a line and maneuver your way through a variety of rope courses and zipline between trees up to 20 meters above the ground. Of course, a hike through the gorgeous Swiss Alps will be on your itinerary. Interlaken offers a wide variety of trails that are perfect for both the avid climber and the beginning tourist. Once you’ve spent a few hours hiking through the trails, be sure to treat yourself to some delicious Swiss Chocolate. Interlaken is the place to get your heart racing and to get you out of your comfort zone, one of the main goals of study abroad, right? 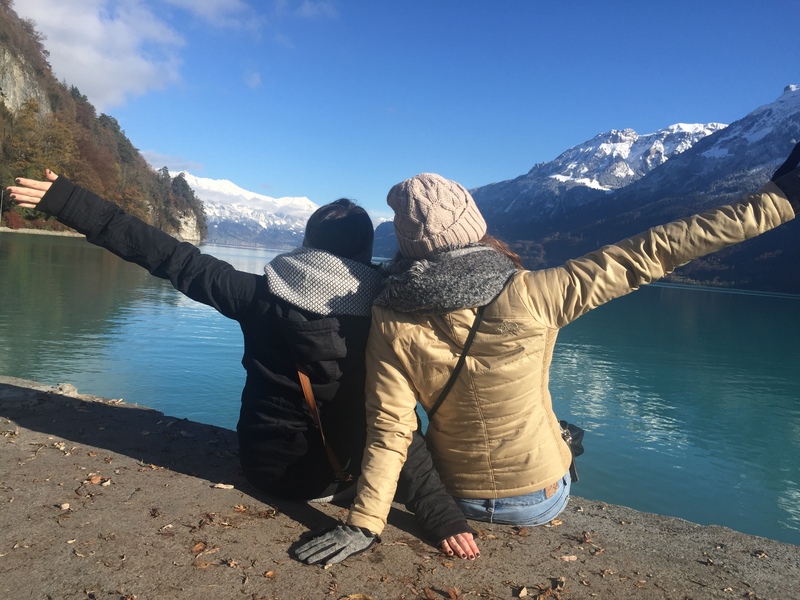 Learn more about Interlaken in Jump in at Interlaken, Switzerland, and join us on a Swiss Alps adventure this semester!